When to use Paper mode: sometimes it is not possible to have a mobile phone with you while checking a candidate's documents. Or perhaps there isn't an internet connection available or a strong WiFi signal. In those cases take a simple paper photocopy of the candidate's documents. When you get to a mobile phone with an internet connection you can use EYN's mobile application to check that candidate's Right To Work using the photocopy. Read on to see how to activate Paper mode and perform the check. Tap the Paper mode icon on the top right corner of the EYN app to enable the Paper mode. You will immediately see a notification that Paper mode is enabled. Proceed to take a picture of the photocopied document. 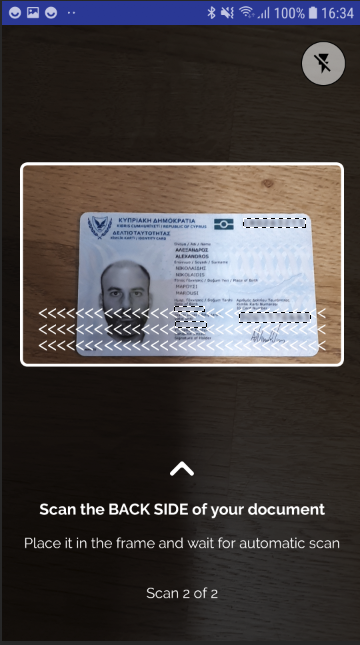 If it is an identity card or a Biometric Residence Permit take a picture of the front and back of the document, exactly like you would do when using the EYN app in normal mode. While on Paper mode, the photograph/selfie step is omitted since we don't have the candidate in front of us. Our app reads the MRZ code of the photocopied identity document, checks that the MRZ code is valid and extracts all identity information. 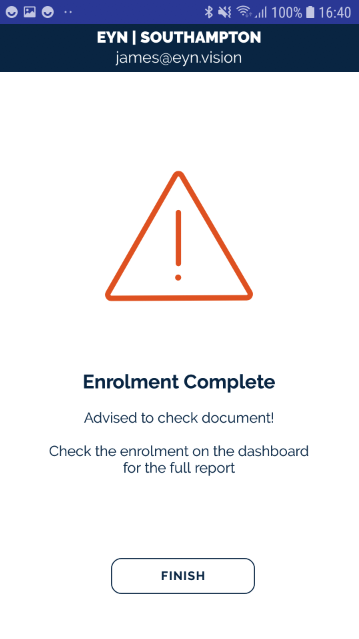 As always, visit the EYN dashboard to see the Right To Work result: https://app.eyn.vision/.